More than seventy-five years ago, Amelia Earhart up and vanished during her round-the-world flight. The generally accepted theory is that she and navigator Fred Noonan plunged into the water because their plane malfunctioned or ran out of gas. There are, however, other explanations. More adventurous researchers like to point to either a conspiracy involving secret identities and spies or a crash landing on the deserted island of Nikumaroro. That latest possibility might sound like a piece of wild conjecture, but it turns out there might actually be a lot of evidence for it. 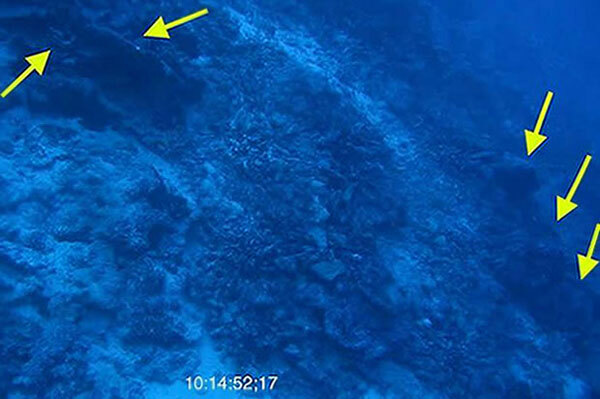 According to The History Channel, the International Group for Historic Aircraft Recovery has found sonar evidence that it thinks indicates Earhart’s missing plane is about six hundred feet below sea level in a grave in the South Pacific. That potential bombshell, coupled with remnants of a campfire, makeshift tools and other things human beings might fashion to live in a remote location that were discovered on Nikumaroro, have convinced the non profit group that further exploration is needed. Moving forward, the researchers would like to raise more than $3 million in order to bring the debris field above the surface and further look into anything that remains on the island from Earhart’s hypothetical stay. Earhart was a major historical figure at the time of her disappearance, and her lure remains incredibly strong. She’s from that generation of aviators that made the world think anything was possible.